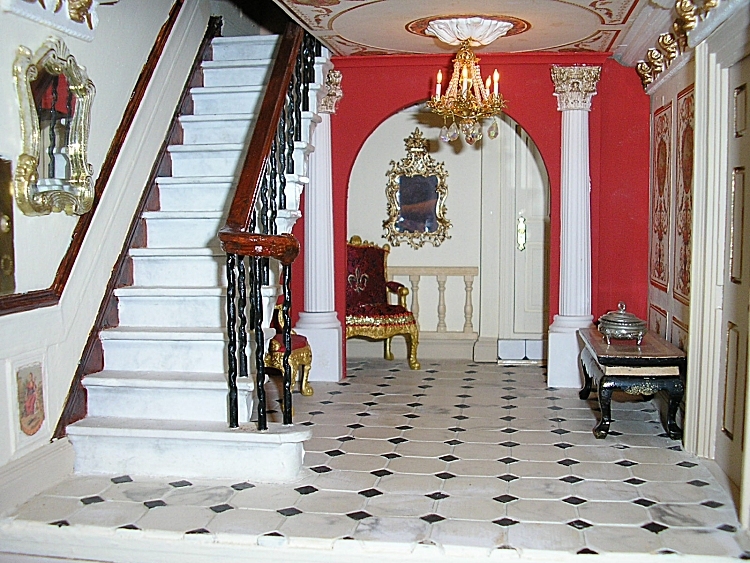 The Main Entrance Hall has marble stairs and a curved handrail with wrought iron spindles. The hall features a beautiful, red archway, flanked by two pillars with gold embellishments, and a beautiful ceiling with a gold and crystal chandelier. 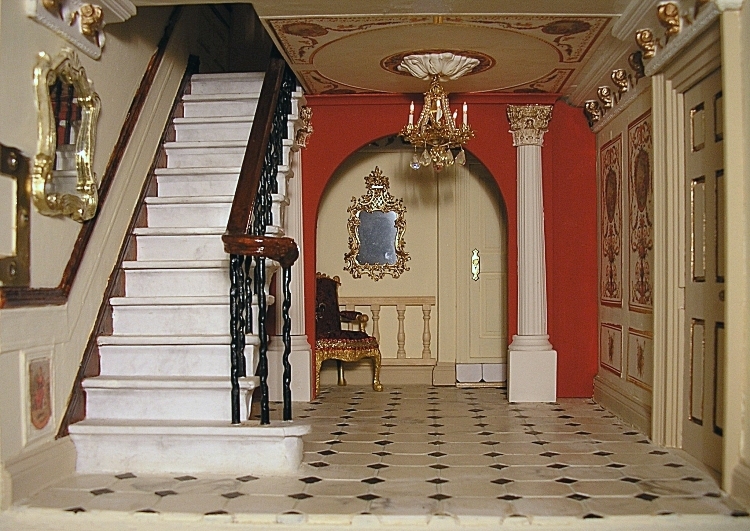 In the lower image a single Chippendale chair with red upholstery sits in the archway, with a Chippendale mirror on the rear wall. The floor is made of hand-painted plaster.